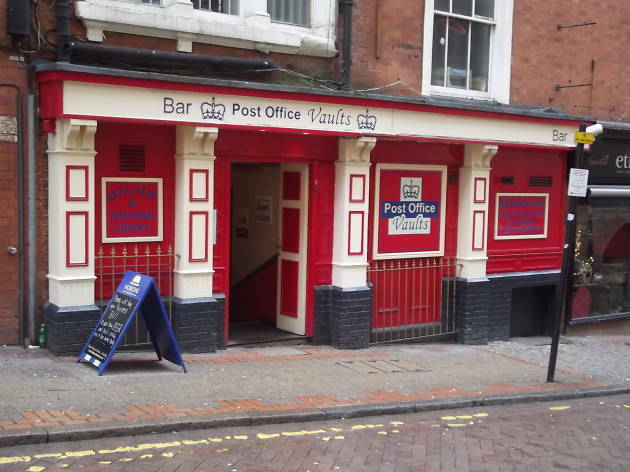 Look on Pinfold Street for the unmissable bright red main entrance to this handily-located retreat, which since 2012 has offered the city centre’s best list of imported bottled beers. The encyclopaedic ‘beer bible’ that thuds onto the bar on request features over 350 carefully chosen classic and contemporary world beers, all with detailed descriptions. Expect to find fine Belgian lambics and Trappists, Franconian smoked specialities, Italian and Scandinavian eccentricities and the odd young American. 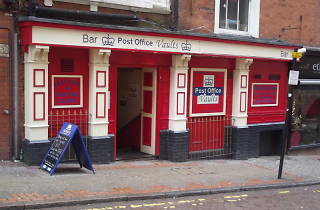 Eight handpulls dispense microbrews often from the West Midlands or Yorkshire, always including Hobson’s Mild, and then there’s the wide range of craft ciders and the bar billiards table. Some may find the small, windowless subterranean space a little claustrophobic and British bottles are sadly absent, but otherwise this is comfortable enough and a fine place for a beer education. There’s no food but you’re welcome to bring your own.